Is The Squat Lift Bad For Your Back? While in the gym yesterday I was watching a teenager doing the ever so popular squat lift. Research is showing that this weight lifting exercise is putting dangerous stress onto the spine. Most personal trainers and athletes blame spinal fractures on using improper form and technique but these studies are showing even “textbook” lifting technique is harming the spine. Doing the squat lift can be harming your spine! Dr. John McClellan, MD and his team of researchers Researchers took x-rays of 20 athletes in their 20’s at various positions in the squat lift. The back squat, where the bar is across the upper back and shoulders was the most troubling. The slope of the sacrum at the base of the spine went to 68 degrees during the back squat versus 58 degrees doing a front squat. The “horizontalization” of the sacrum during the squat lift makes those working out highly damaging causing fractures in the lumbar spine. The highest risk is for teenagers whose spines are still not fully developed. 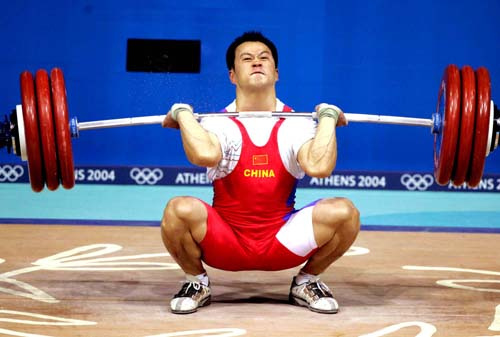 The squat lift is very common with coaches and trainers of young athletes. Just this past year I had a teenage football player come in with severe low back pain. As a football player, this lifting technique is commonly used because of its effectiveness at strengthening muscles. The pars fractures that are most likely to occur have less than a 2% likelihood of healing. Eventually degenerative disc problems and chronic low back pain will develop. Coaches and trainers need to be made more aware of the dangers of the squat lift. Educating them on the risks and more safe alternative exercises is a must. Caution needs to be taken while doing this and other exercises. As a Freehold NJ chiropractor that does a lot of work with athletes of all levels, I guide my patients on proper lifting. I advise exercises to strengthen and stabilize the spine. Therapeutic stretching techniques are also important in preventing damage to the spine. Chiropractic adjustments help optimize range of motion of the joints and reduce pressure on the discs. We can help you get the most of your exercise while reducing risks of injury. with lifestyle and the pain sneaks up on us out of the blue. The pain becomes chronic and we don’t even realize it. the neck, shoulder, lower back and hips, as one shoulder will shift weight to one side of the body. Many guys carry a wallet and they put it in their back pocket of their pants. This can be another cause of chronic low back pain. Sitting on a thick wallet in the car, at work, and at home causes an uneven foundation for the hips and lower back. 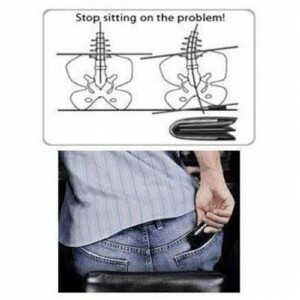 The more one sits with the wallet in their back pocket, the greater the chance of experiencing a pinched nerve, or a herniated disc. Weight – Our population is become more overweight every year. Extra weight can impact the body in so many ways. It builds up around the midsection of the body offsetting balance, causing the pelvis to tilt forward, which can strain the spine and lower back as well as putting additional pressure on the discs. Extra weight adds pressure onto the feet causing the muscles, ligaments, and tendons to stretch and become weaker. It is common for overweight men and women to experience collapsed arches, which cause the knees to rotate, the hips to drop and disrupt the balance of the spine. Pain becomes more of an issue when the body carries more weight that it has been designed to carry. By adding light exercise and watching what you eat, you can make a big difference in reducing the pain. On the job – Every job is different and our bodies react inversely to the ergonomics at work. Setting up your work station properly is so important to help prevent chronic pain. In a previous blog we discussed ergonomics: Ergonomics at your Work Station. Whether you are standing or sitting all day, your body develops a routine and adapts to the positions you frequent the most throughout the day. No matter what the job may be, every body needs restoration of its original range of motion. It is highly recommended to take frequent breaks, take a walk outside during a break and take the time to stretch. This helps avoid improper posture, lifting techniques, and eyestrain from computer screens. You will also notice an energy boost and less chronic pain. Sleep – There are many consequences to the way we sleep. From the type of mattress you use, to the position that you sleep in. Stomach and side sleeping may feel comfortable, but are also a main reason why we toss and turn during the night and wake up with pain. As we sleep, our head, neck, and spine need to be supported correctly. Optimal sleep patterns include, sleeping flat on the back with the neck supported by a cervical pillow. If you must sleep on your side, keep a pillow between your knees with them slightly bent and your head and neck supported by a pillow. You should avoid sleeping on your stomach at all costs as it puts continuous strain on your neck, shoulders and lower back. Posture – Posture is one of the key elements at reducing every day stress to the body. So many people slouch at their desk or while watching tv and many times are propped up in unnatural positions while watching tv. Or talking for extended periods of time on the phone with the head tilted. Having the body in these postures for extended periods of time increases the stress and tension to the muscles, tendons and ligaments. This will further increase the amount of pain you feel. For a moment sit in your chair and slouch with your head forward, letting it fall slightly and you will notice an increase in pain in the back of the neck, down to between the shoulder blades. Sitting all day at school or work in this type of position damages the soft tissues. Now sit up straight and you will most likely notice that there is less pain. Just by improving your posture, you can reduce your chronic pain, but you might have to do strengthening exercises to improve your posture. 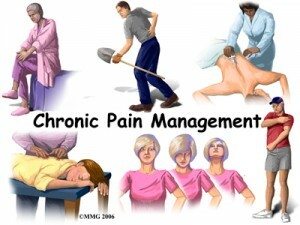 These are just a few of many reasons why you might have chronic pain and not know where it stems from. At least one of the above factors might be adding to your pain. Instead of using temporary painkillers and muscle relaxers that just mask the symptoms and lead to harmful side affects, chiropractors help you pinpoint the cause of your pain and recommends change in lifestyle to reduce and prevent future problems. Dr. Russell Brokstein utilizes chiropractic care, therapeutic stretching as well as lifestyle recommendations to help his patients recover more quickly so you can once again enjoy your regular daily activities. Don’t let chronic pain take control of your life! To find out more about Hometown Family Wellness Center in Freehold, NJ go to our website at www.chiropractorfreehold.com. There are many dangers of spine surgery! Low back pain has become a very common occurrence nowadays with over 12 million Americans visiting their doctors with complaints of chronic back pain every year; while over a 100 million visit a chiropractor. 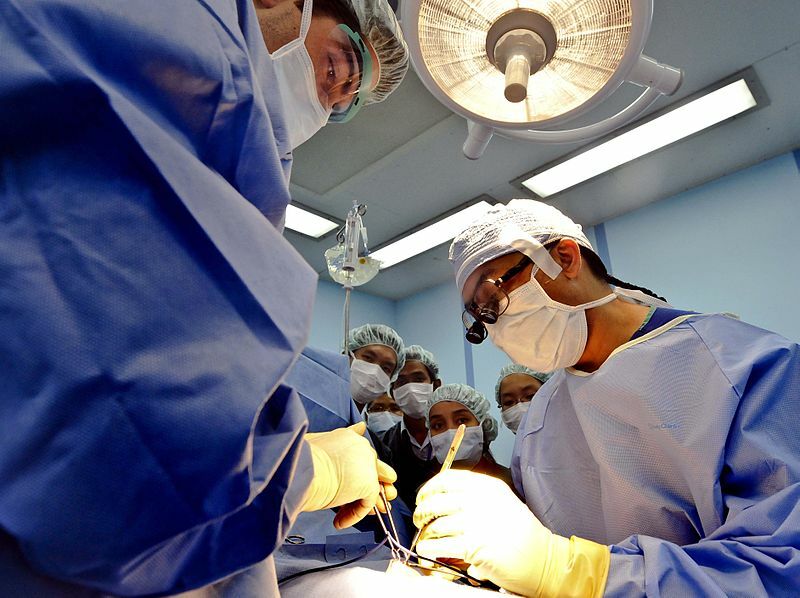 The dangers of spine surgery carries around a 20% risk of a failure. Failed spinal surgeries often result in no improvement, worsened pain, and sometimes, even death. A successful surgery is considered one that only provides 1 to 5 years relief at which point the majority start experiencing worsening back pain. At this point other areas of the spine are failing and more surgery is pushed on patients. Before opting for the path of dangers of spine surgery make sure to use all other conservative types of treatments. Chiropractic has the highest outcomes when it comes to disc injuries. Our Freehold Chiropractor has been helping patients with disc pain for the last 16 years. Using gentle chiropractic treatment along with therapeutic stretching we have helped patients with low back pain, disc injuries and even patients who have continued pain after surgery.